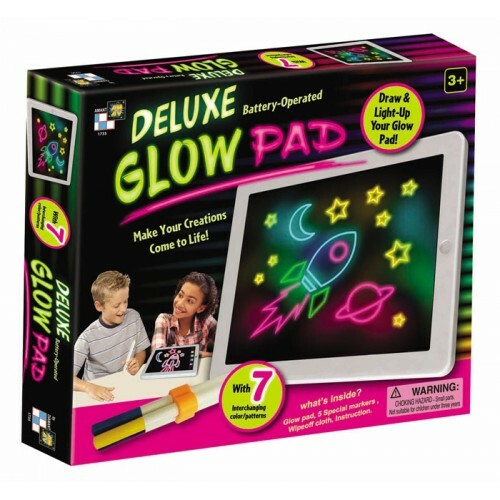 The most innovative revolutionary illuminated led light up drawing pad and a night-light for the child room to show his latest creation in the darkness of the child's room. 7 ILLUMINATED POSSIBILITIES & INTERCHANGING COLOURS. Item contains: 5 window markers, Pen grip, 2 stencils and Spiroart Wheels.